Morning meet with our representative and drive to Mysore situated at an altitude of 770 mts. Earlier it was the capital city of the Wodeyars and a well- known city for its admirers with its quaint charm, rich heritage, magnificent palaces, beautifully laid-out gardens, imposing buildings, broad shady avenues and sacred temples. 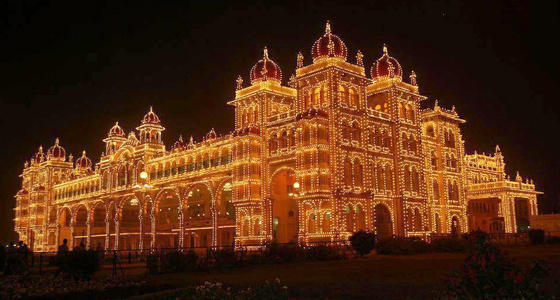 Today, Mysore is a vibrant city teeming with tourists and visitors. It is known by the entire world for its exotic sandalwood and rich silks. 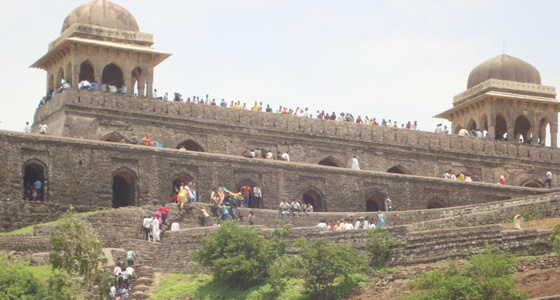 Its grand and imposing palaces, majestic temples, gardens are worth viewing and tells the story of bygone era. Upon reaching at Mysore transfer to the hotel. Rest of the day free at leisure to feel its grandeur. Overnight stay at hotel. 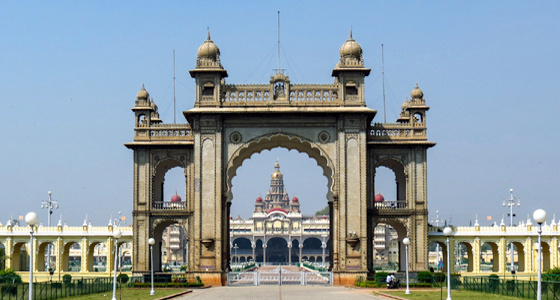 Today after breakfast will have sightseeing excursion of this massive city visiting the Mysore Palace - The Maharaja's Palace built in Indo-Saracenic style with domes, turrets, arches and colonnades the Palace is a treasure house of exquisite carvings and works of art from all over the world. Chamundi Hills - A well-known 335 mt high landmark, Chamundi Hill can be reached by a 13 km road or by climbing up the 1,000 steps laid out by the Mysore Maharaja in the 17th century. Brindavan Gardens - Located at the KR Sagar Dam, Brindavan Gardens is one of the best gardens in South India. Spread over 150 acres, Brindavan Gardens has since the 1960s provided the backdrop for many Indian films. Special attractions include the Dancing Fountains. 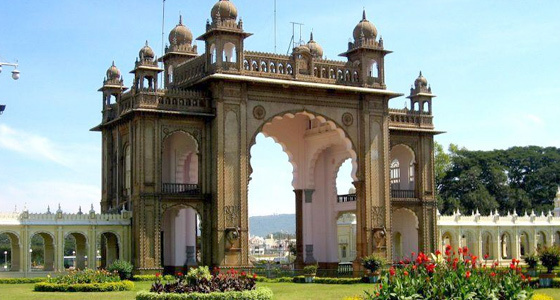 Mysore Zoo - The Zoo was set up under royal patronage in the 19th century. Its fauna includes rare and exotic species which are housed in lush, green surroundings. The Zoo is famous for breeding some very rare animals in captivity. For art lovers there is The Art Gallery - The Jaganmohan Palace was converted into an art gallery in 1875 and exhibits paintings which date back to that period. The artists of that time used natural vegetable and mineral dyes. The famous traditional Mysore 'gold leaf ' paintings are also exhibited in the gallery, as are oil paintings of contemporary artist like Raja Ravi Varma and Svetoslav Roerich. Later return to the hotel. Evening free at leisure.Overnight stay at hotel. After breakfast leave for Bangalore, en-route visit the Tipu Fort at Srirangapatnam, famous for the Tipu Sultan's former capital. An obelisk in the fort marks the place where he fell - betrayed by his own men. The fort holds within it a mosque and the Ranganathaswamy Temple. Outside the fort is the Gumbaz, Tipu's tomb with splendid ebony doors inlaid with ivory. Further continue drive to Bangalore.